Markdowns on Everything! Great savings up to 50% or more on our beautiful selection of winter clothing! 30% of on all hats & scarves – 20% off all jewelry. A great opportunity to shop exceptional deals on our beautiful lines of clothing, jewelry, and accessories! 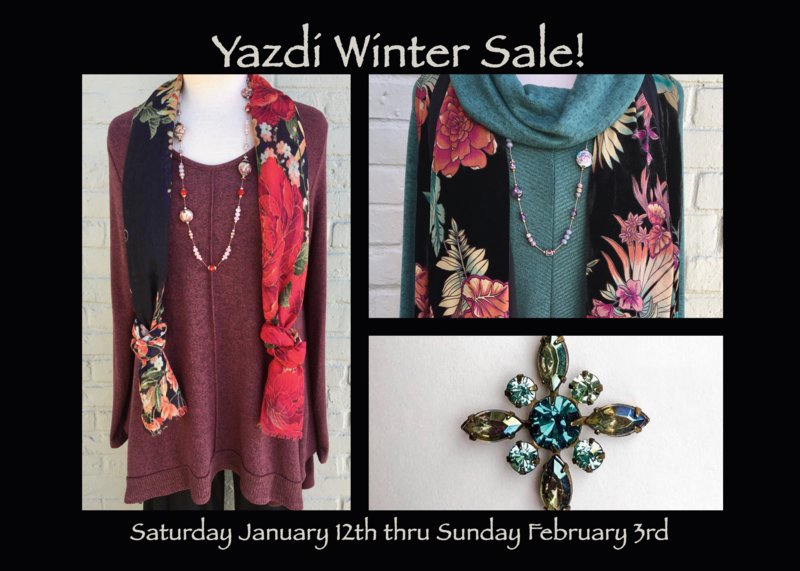 Our warehouse clearance rack are full of good oldies at rock bottoms prices, including Clearance Sale Racks from Yazdi II full of Plus Size Clothing. Previous PostYazdi Alert! – Yazdi II is Downsizing into Yazdi!Next PostBig News: We have finally moved into our new space!